The game was all but confirmed when Titanfall fans noticed that playapex.com redirected to Electronic Arts’ homepage. Like the previous Titanfall games Apex is developed by Respawn and published by EA, according to Esports journalist Rod Breslau who cites discussions with gaming influencers who were flown to Los Angeles to test out the game over the weekend. Breslau revealed on Twitter that the game will arrive on PC, PlayStation, and Xbox and support up to 60 players per server playing solo or in groups of up to three. Rather than Titans, the gameplay will revolve around “heroes with unique abilities,” which will be separated into classes based on skills. To stay free, Apex Legends will rely on purely cosmetic microtransactions and loot boxes. While we’ll have to wait until Monday (if the rumors are accurate) to discover if a Titanfall 3 is still in the works, it seems quite likely it is. Apex Legends seems to have the Titanfall name attached for now, but it still seems quite separate. 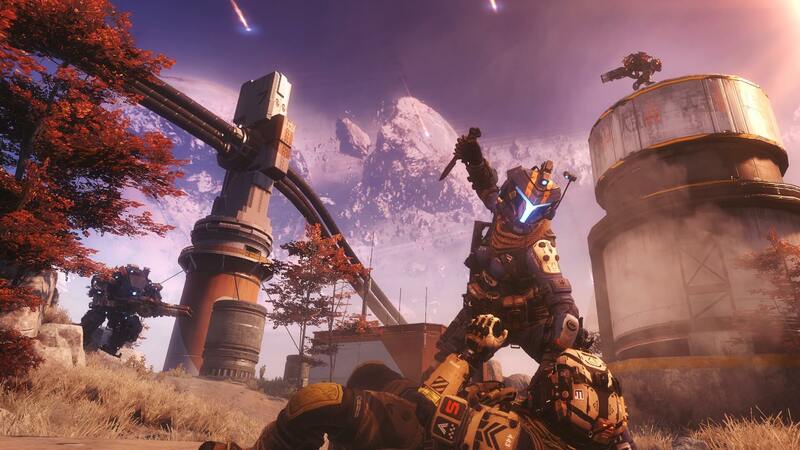 Plus, it’s been over two years since Titanfall 2 was released which is a long time for such a large studio to be developing a simple battle royale game. After the success of PlayerUnknown’s Battlegrounds, and subsequently Fortnite, there’s been no shortage of other franchises that have jumped on the battle royale bus, such as Black Ops 4 and Battlefield V. In all likelihood Apex Legends will be another fun and free battle royale, just with a light Titanfall sprinkling. That sounds a little tonedeaf (and a little rushed, and a few other things). A lot of us liked Titanfall because of the titans. They should have called it "Dude where's my Titan". They should name it "Fall" instead of "Titanfall"
I'm sure EA will be charging soon for Titans in the game. Get all those casual gamers begging them to take their money so they don't get used for target practice. Ikr, if it wasn't EA I'd be quite excited. I rarely ever hear about this game. Just before it was launched it was all the talk, now it's crickets, which is probably the reason why they're doing this...to revive the game which probably won't work.